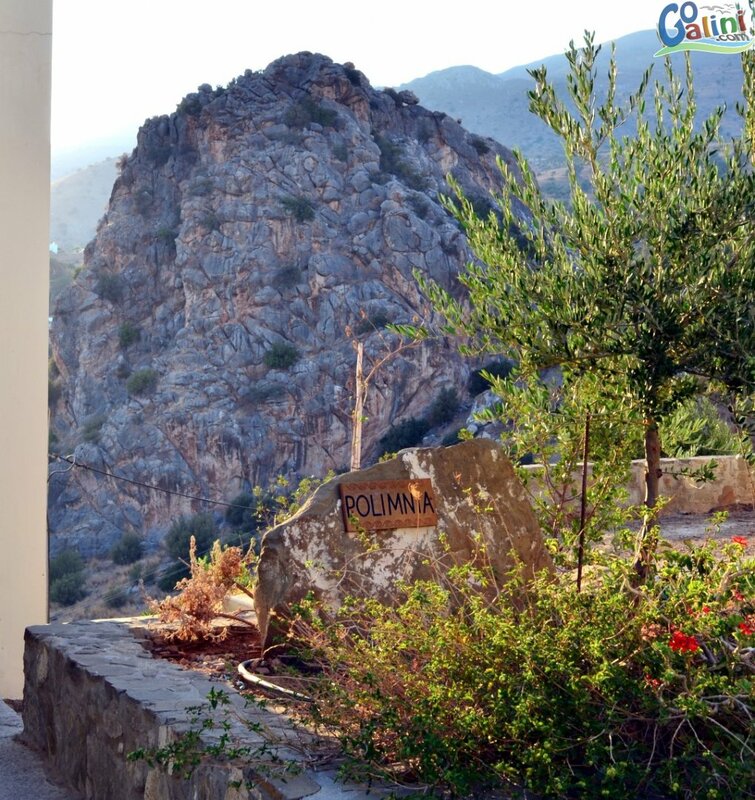 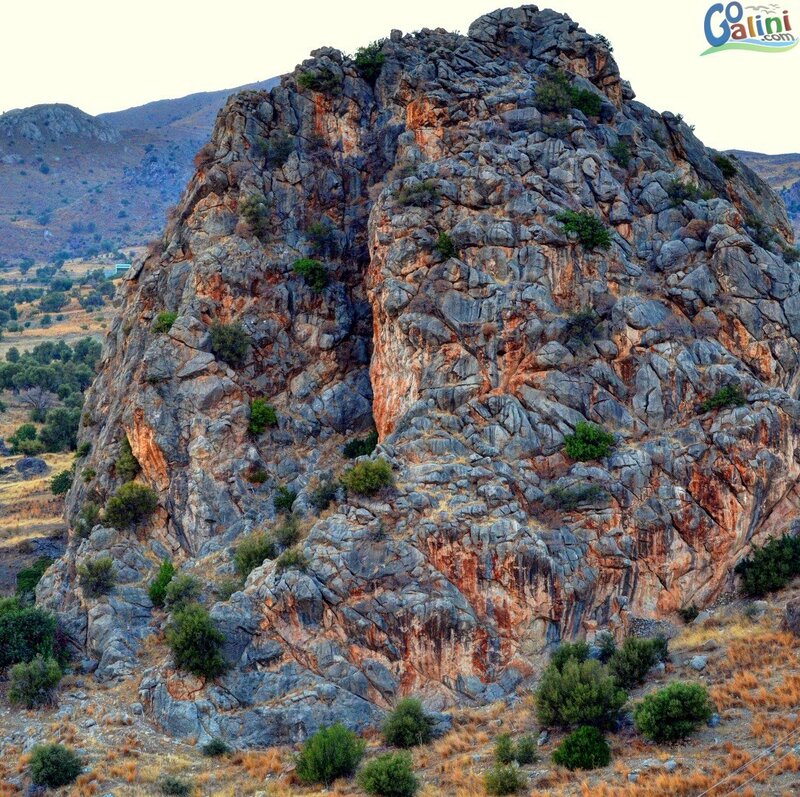 Amongst the heart of nature, only 2km from Agia Galini, we created an earthly heaven for beautiful and relaxing holidays on the wonderful island of Crete! 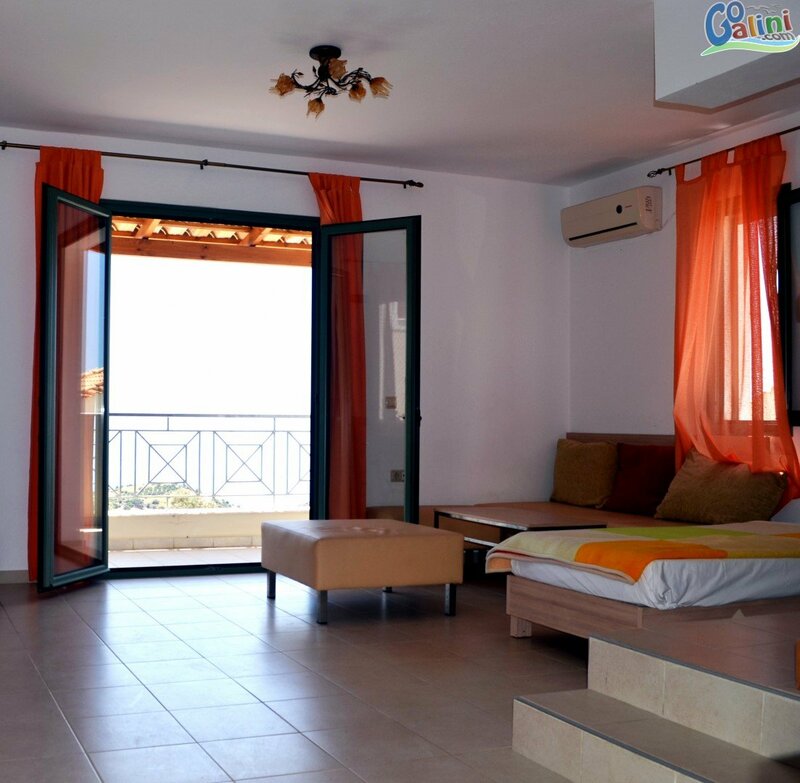 Five fully furnished and equipped traditional houses adourn the area and give you the oppostunity to organize your holidays on a beautiful island. 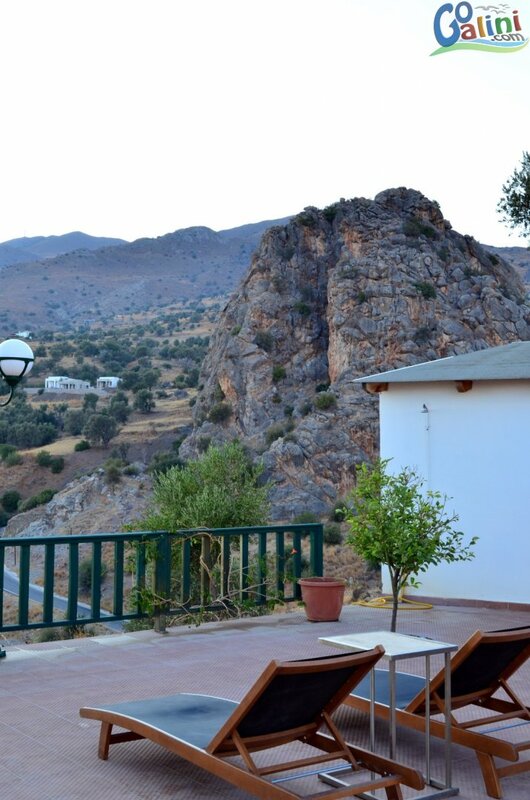 In the location Lenikos Harakas, on the road towards the village Melampes. 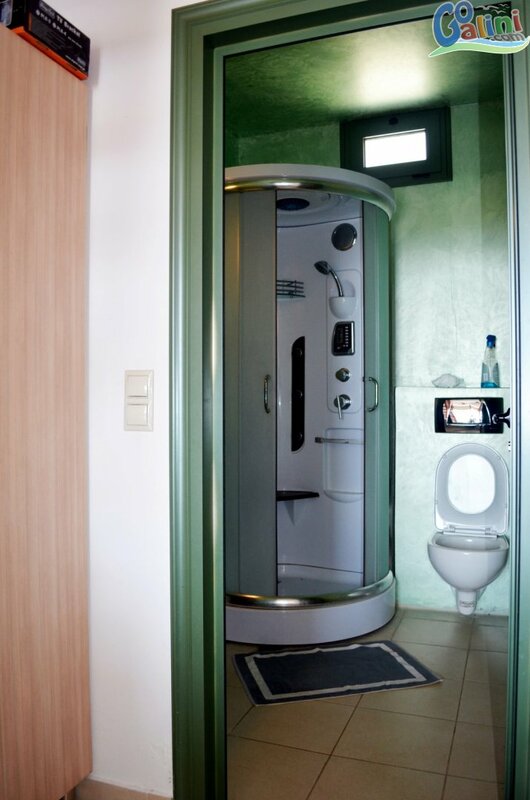 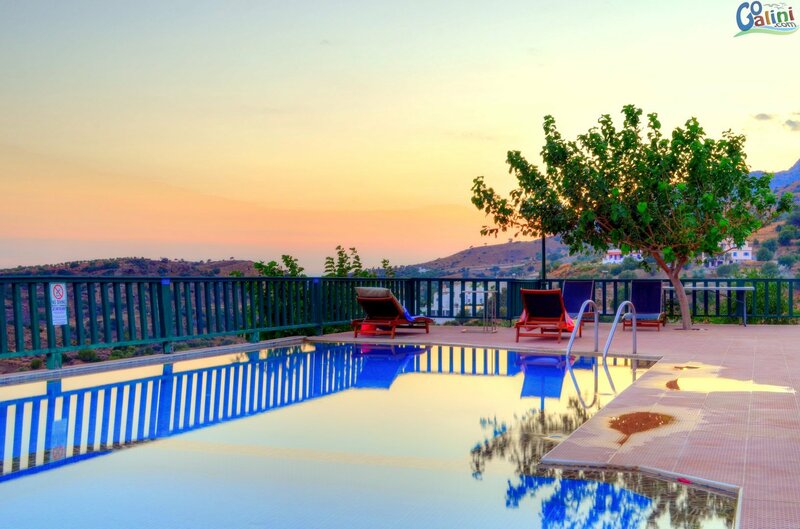 You will feel calm and carefree in an idyllically breathtaking environment. 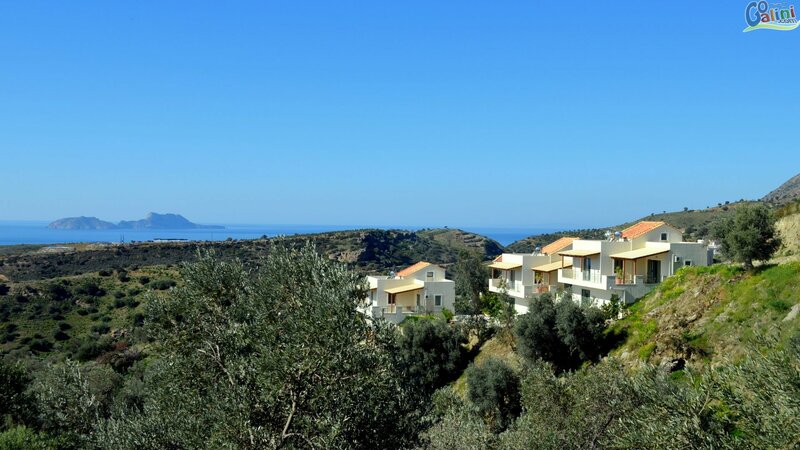 The distance of the houses from Agia Galini Beach and Agios Georgios Beach is about 2km. 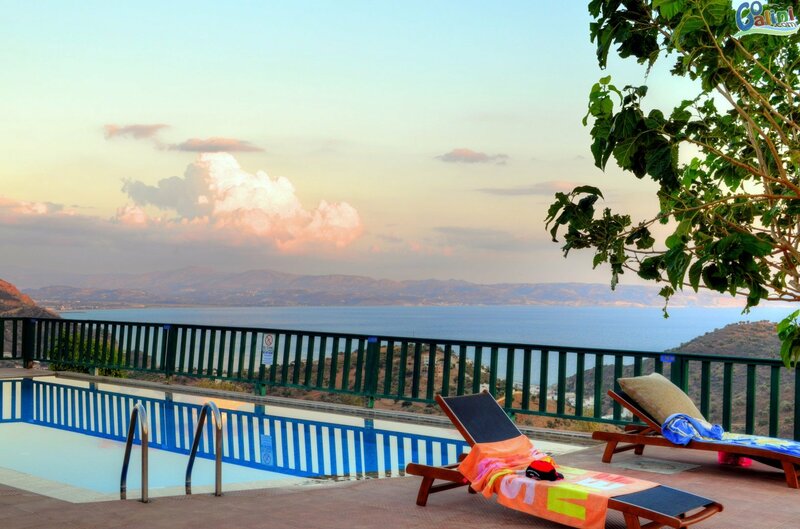 They have panoramic view of the Paksimadia islands and the Valley of Messara. 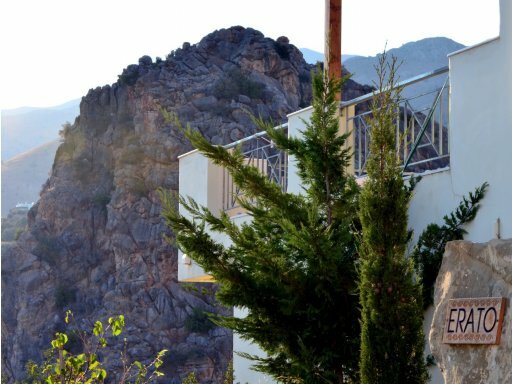 From the balconies of the housesyou can enjoy the sunrise, the beautiful sunset, as well as bask in moments of relaxation in our full-bloom garden. 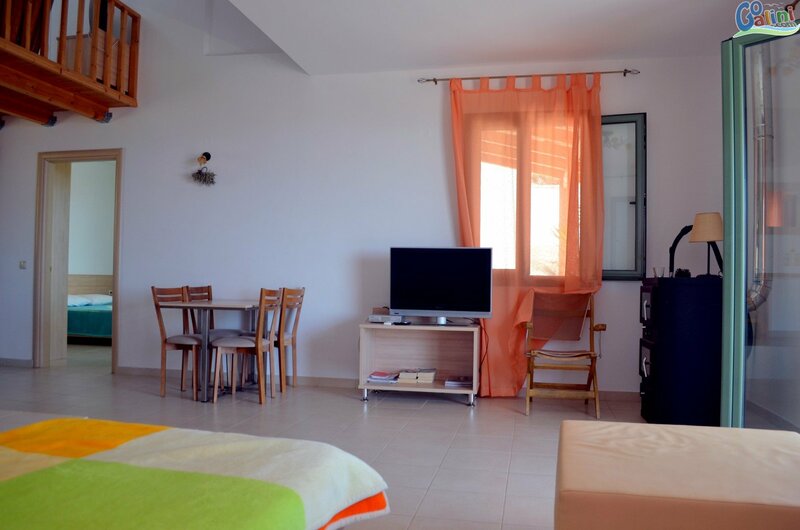 All our apartments are known for their beautiful design, siplicity and elegance. 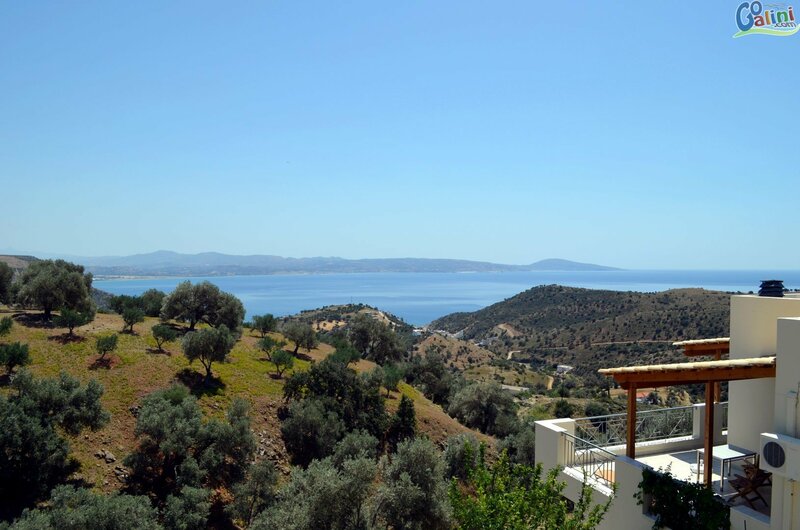 They have private terraces which offer a sense of peace and breath-taking view. 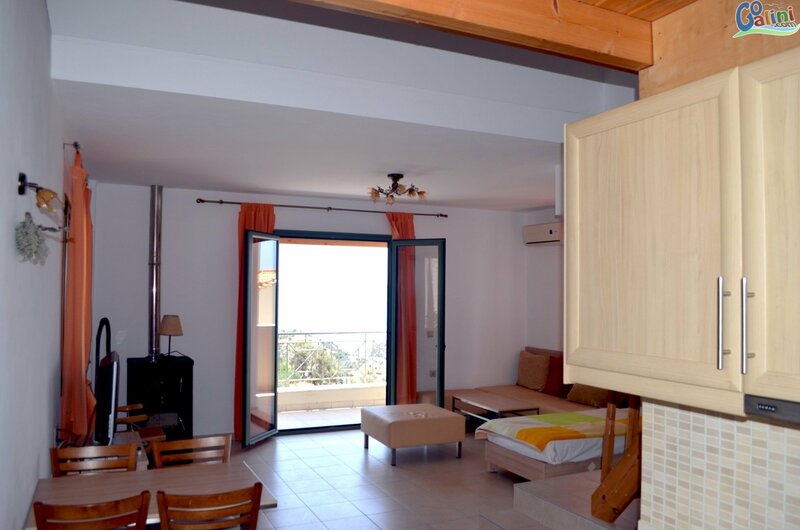 The apartments are ideal for families as they offer two areas. 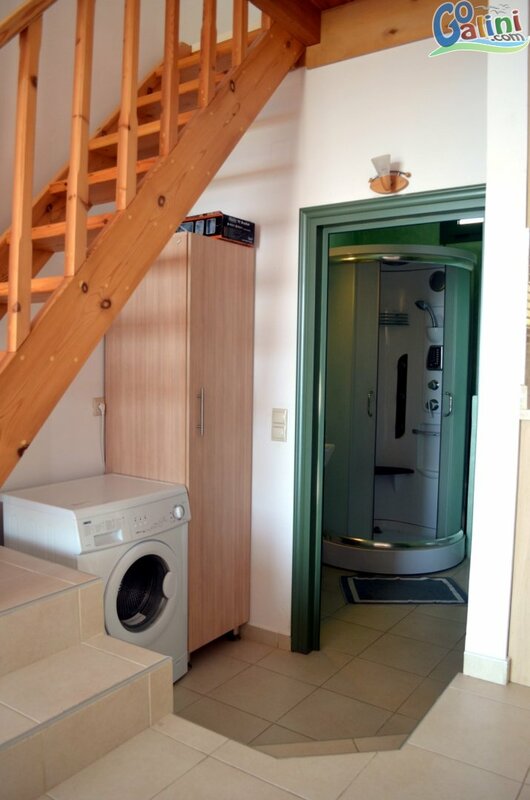 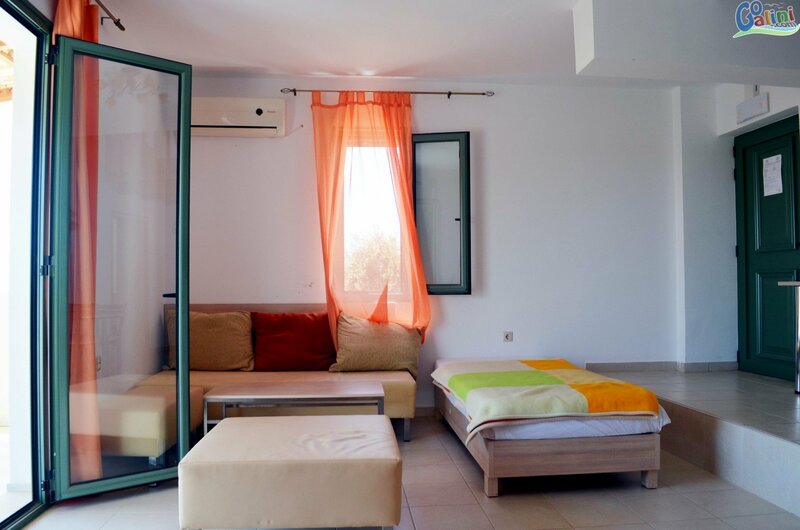 One separate bedroom, a kitchen/living room where two additional individuals can be accomodated in addition to a traditional semi-floor designed as an indoor balcony, on which a double bed is situated. 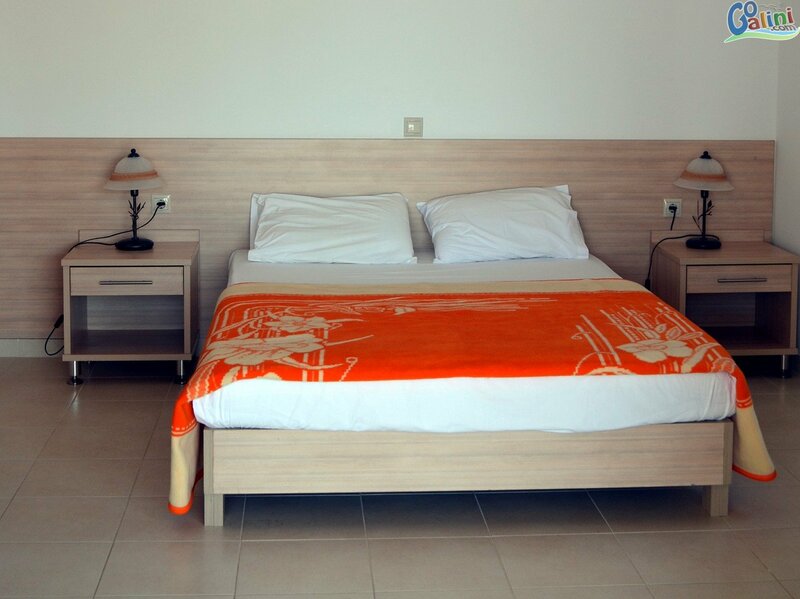 Our apartments can accommodate two to five people. 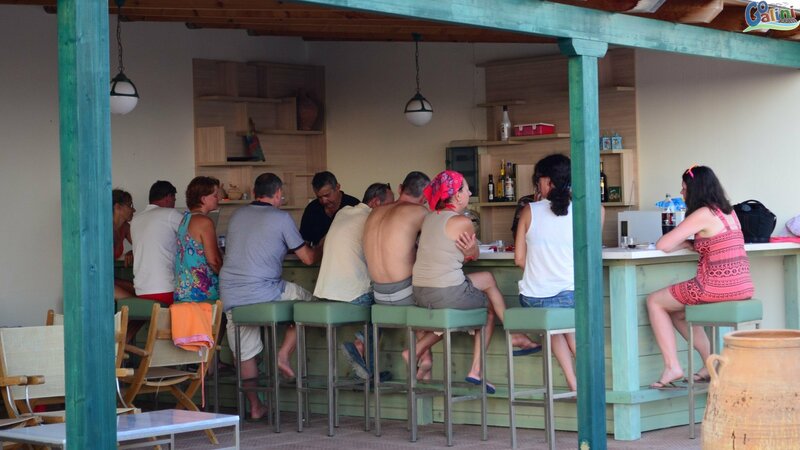 In our traditional built café-bar you can enjoy your coffee, beverage, cold dishes as well as try rich traditional Cretan food.. 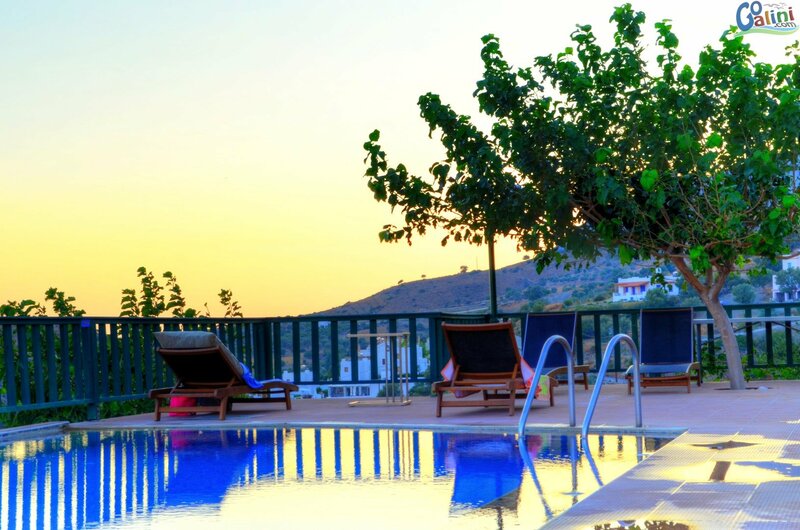 In the communal pool you will have the opportunity to relax and enjoy your dip with the clear blue of the Libyan Sea stretching out before you. 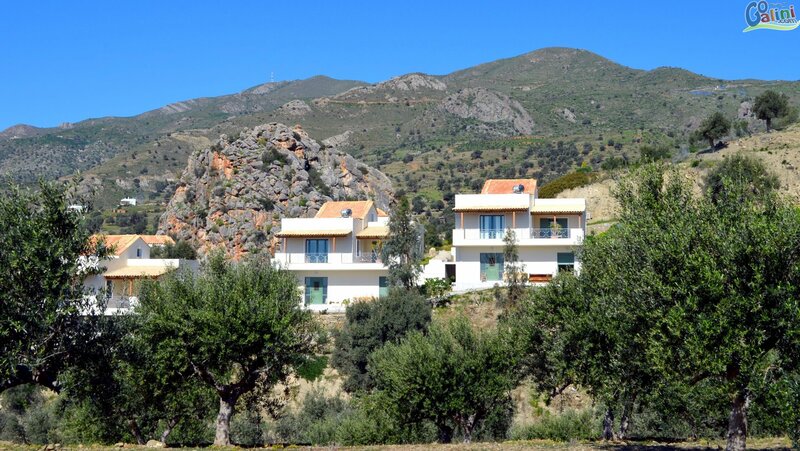 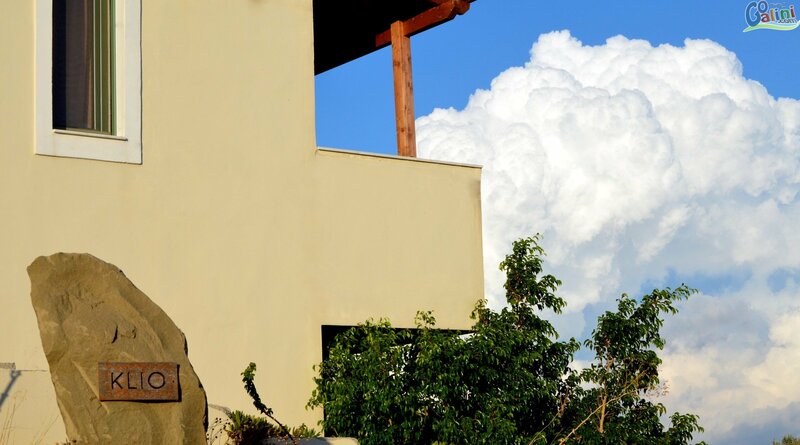 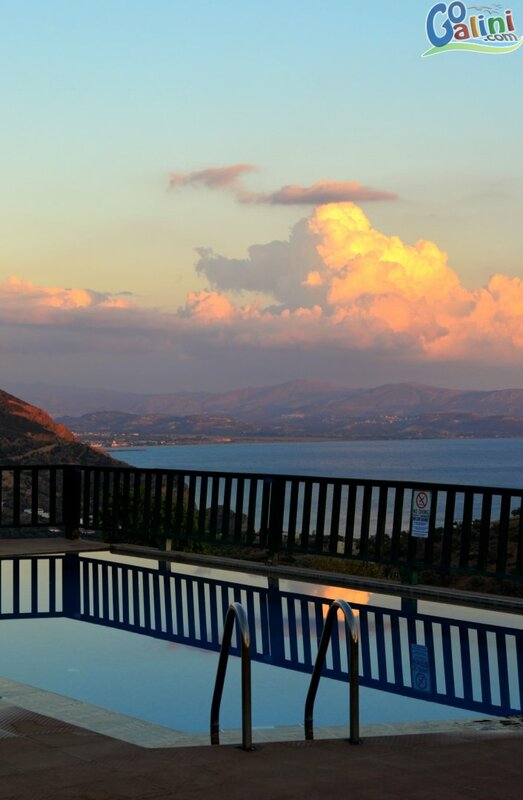 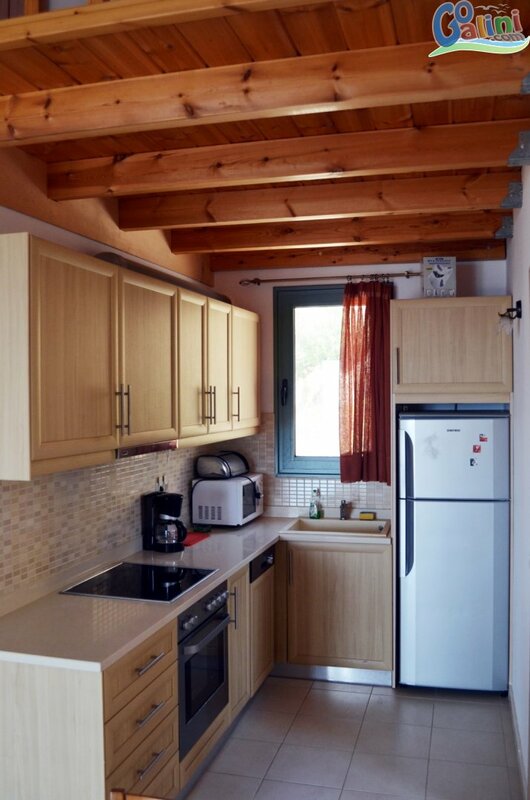 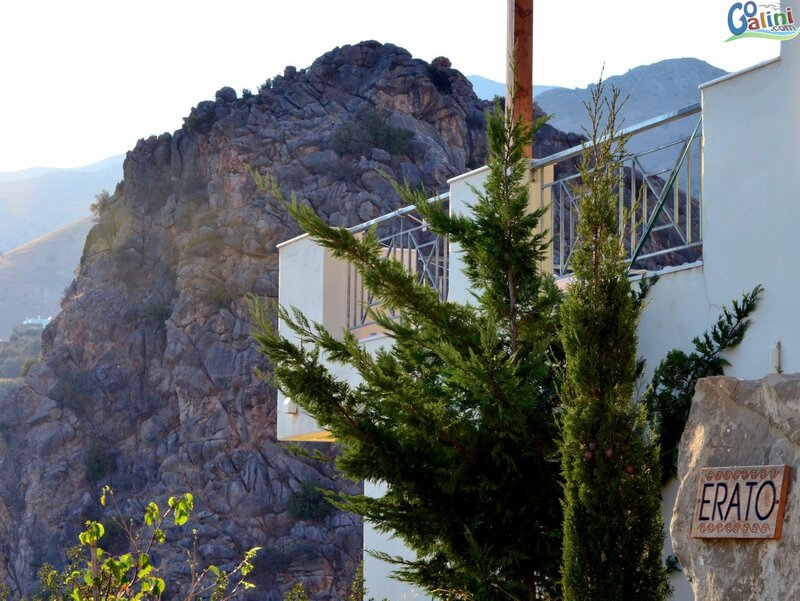 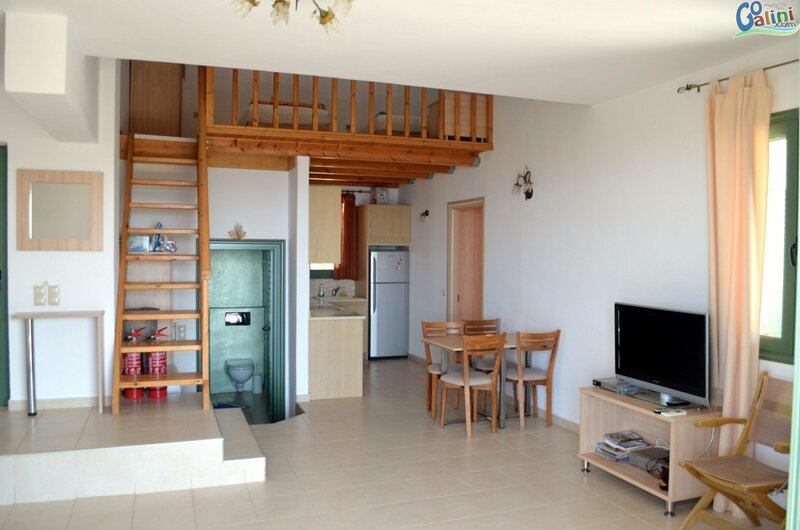 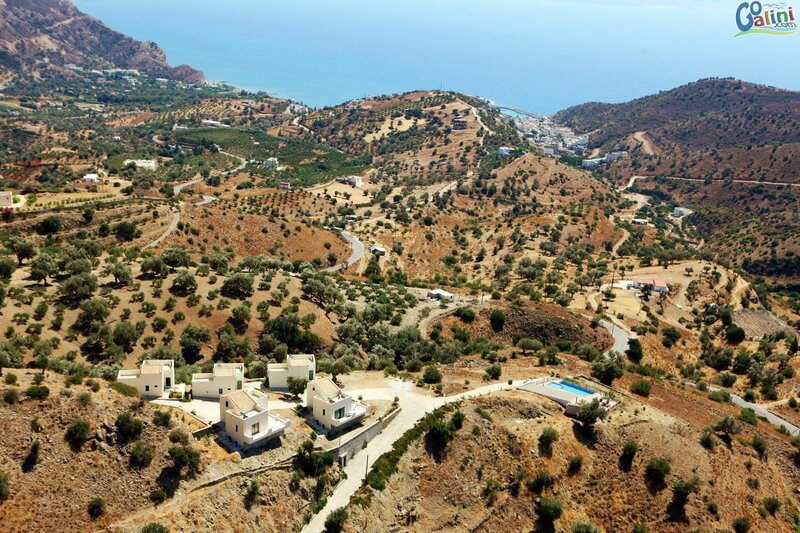 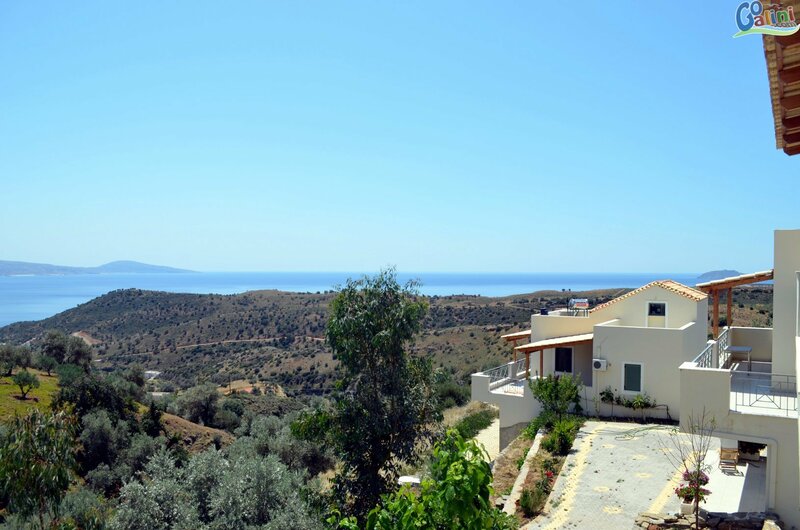 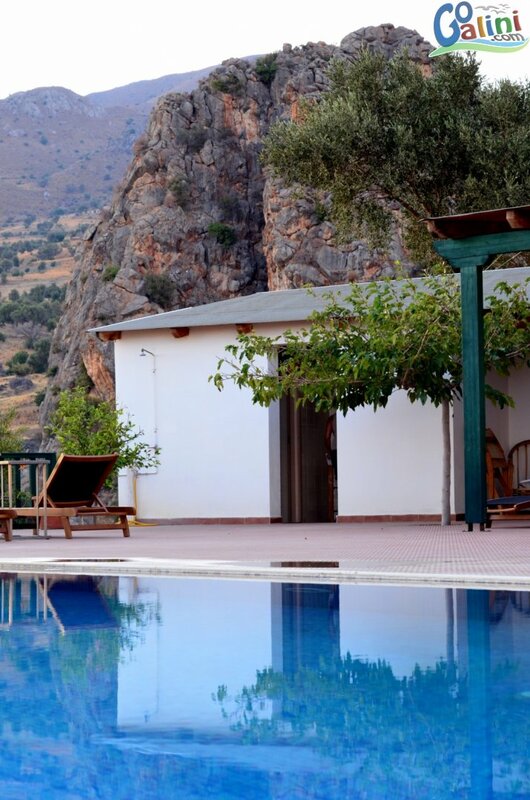 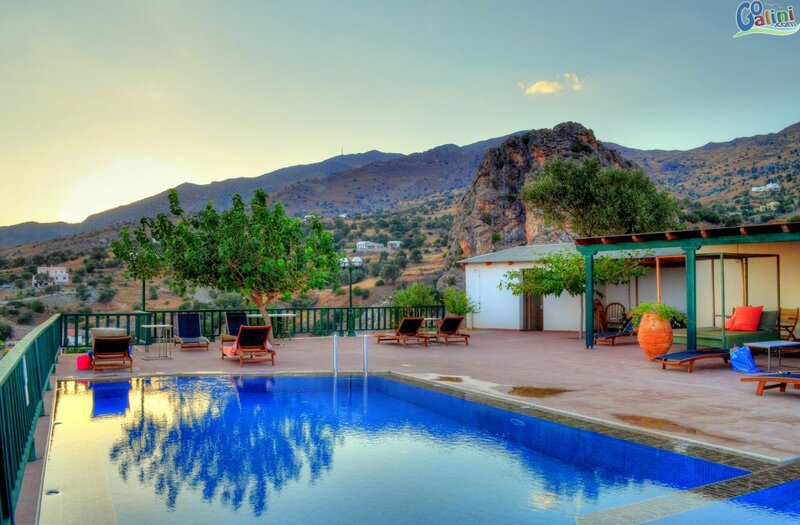 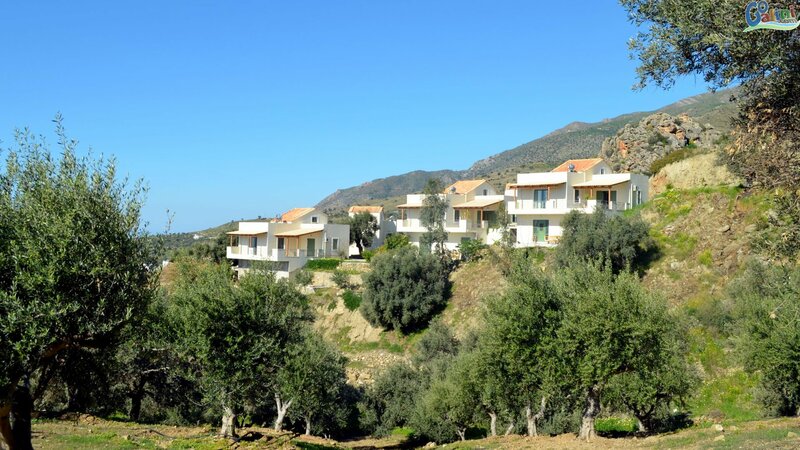 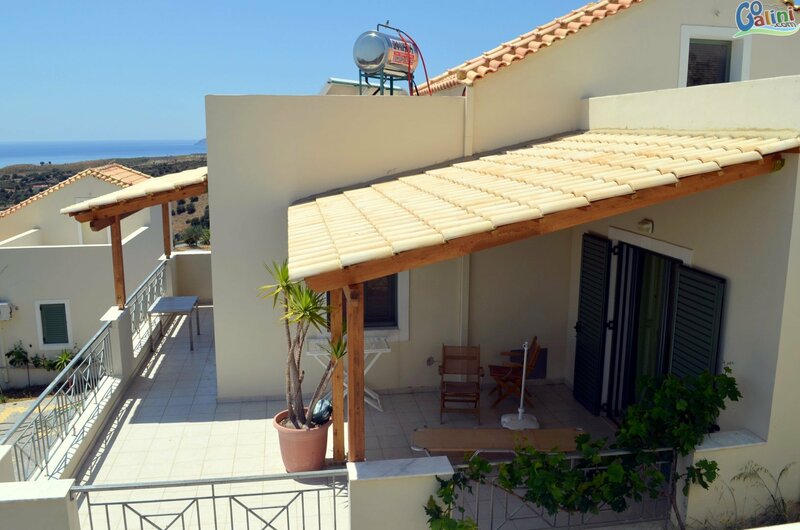 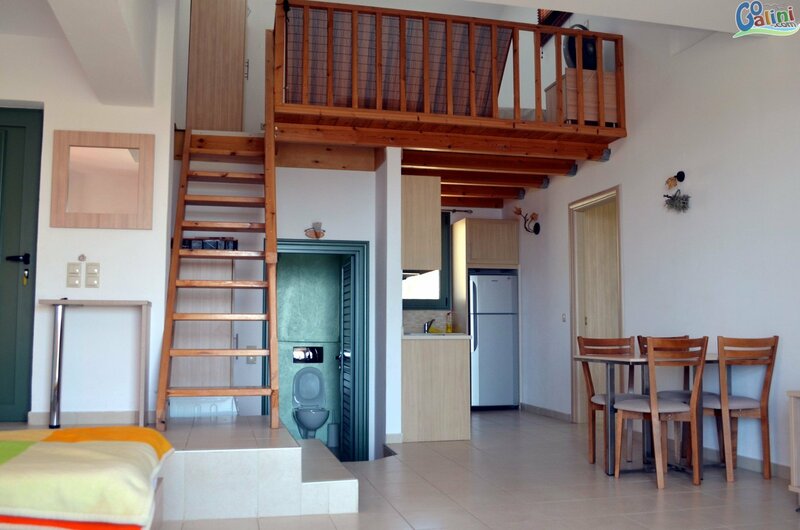 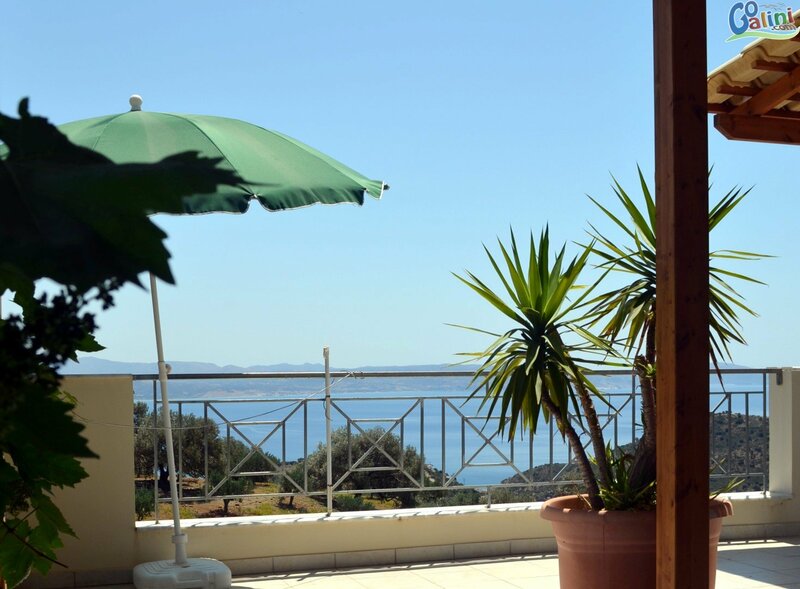 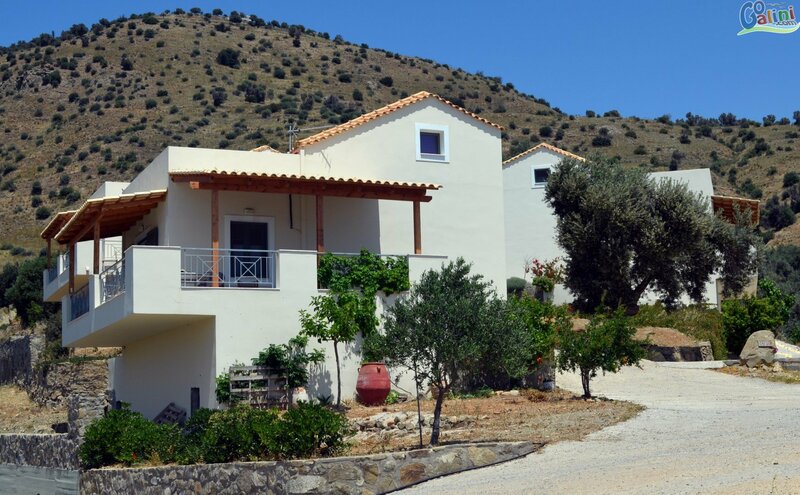 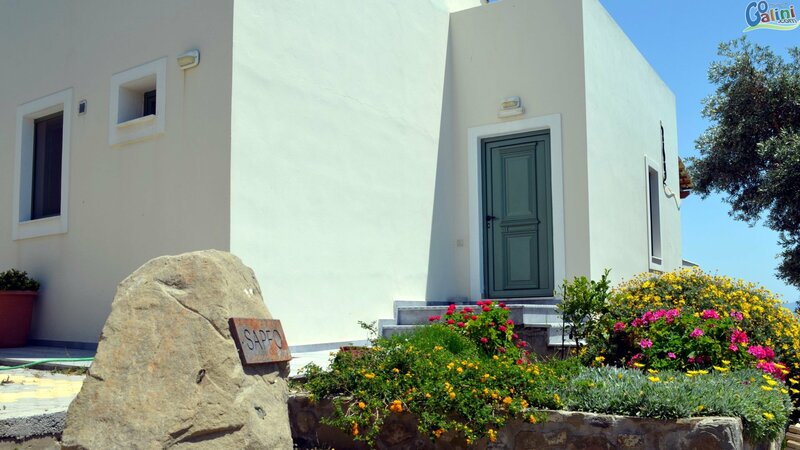 The complex offers original Greek hospitality and full services, thus offering its guests a pleasant and comfortable stay, as well as giving nature-lovers the chance to bear witness to various activities concerning agricultural tourism in the wider area depending on the season.